Once a bookworm always a bookworm…. Happy Monday….today I got up when it was still dark and most of you were still in bed. 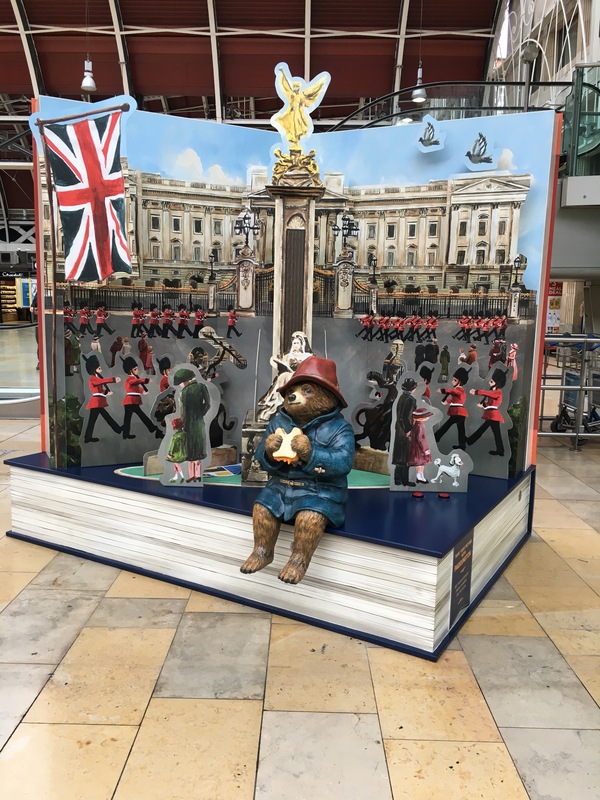 I was up at 5am to spend some time fundraising for work at Paddington Station as part of #SU2C – Stand Up To Cancer….now I have been to Paddington Station lots before today but I didn’t realise how much Paddington Bear was there…….as a child I devoured these books by the late Michael Bond – my nieces love the film and I cannot wait for them to be old enough to devour Paddington’s tales and I can relive the magic with them. 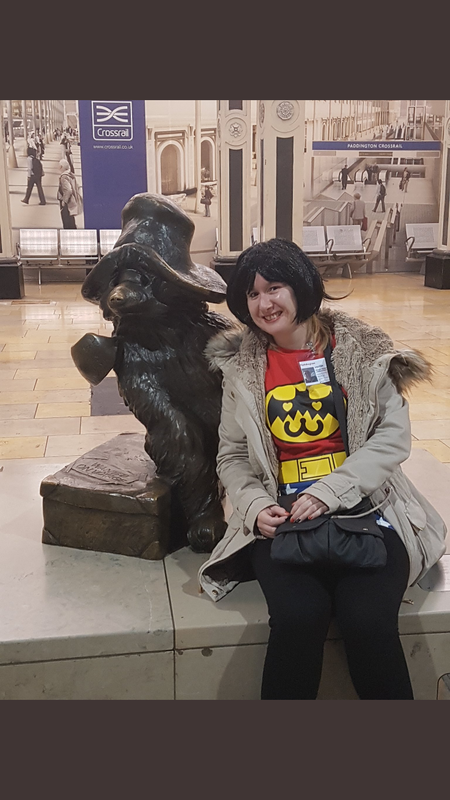 So I didn’t have a picture without my silly wig but here I am just gone 7am this morning. Ready for the day…doing my bit for Stand Up To Cancer when you work got a charity you end up realising you don’t mind dressing like a bit of a twit in aid of said charity. When I found this outfit I instantly thought of Stand Up fundraising. 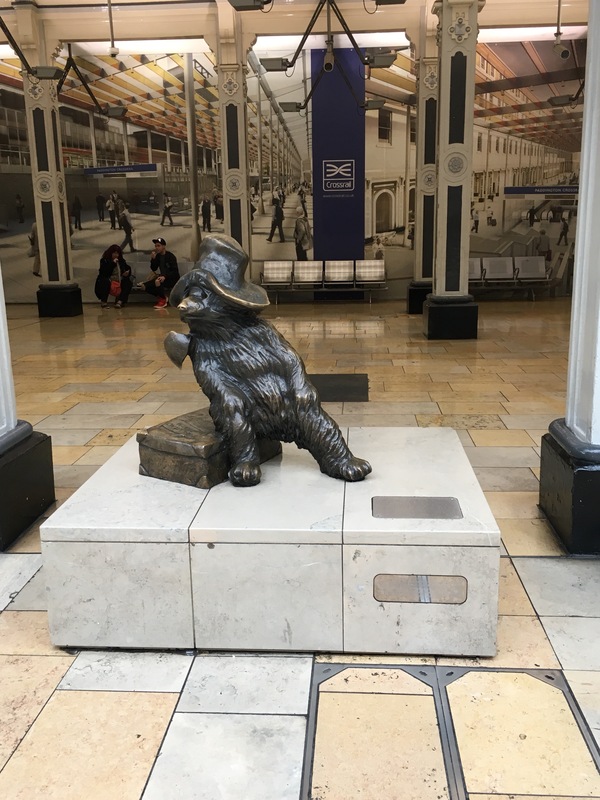 It all started for Paddington at Paddington Station. 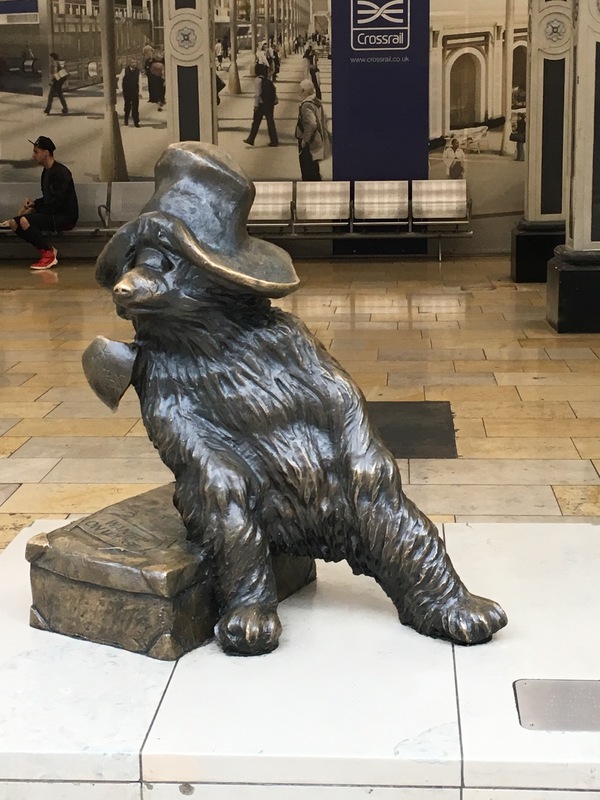 I love that he’s sat on a book…I didn’t take a picture of the other side where you can see the other side of the actual book. There’s also a gorgeous little gift shop full of stuff including some gorgeous pin badges and tote bags. I refrained from purchasing but alongside my work day I sure did have fun embracing my childhood. 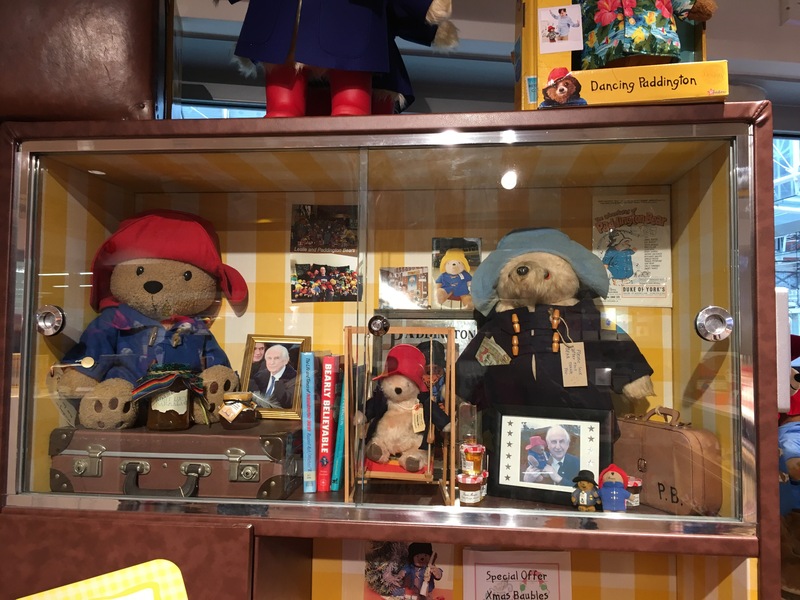 Paddington was one of my favourites and I cannot wait for the second film which is in the cinema on the 10th November…. 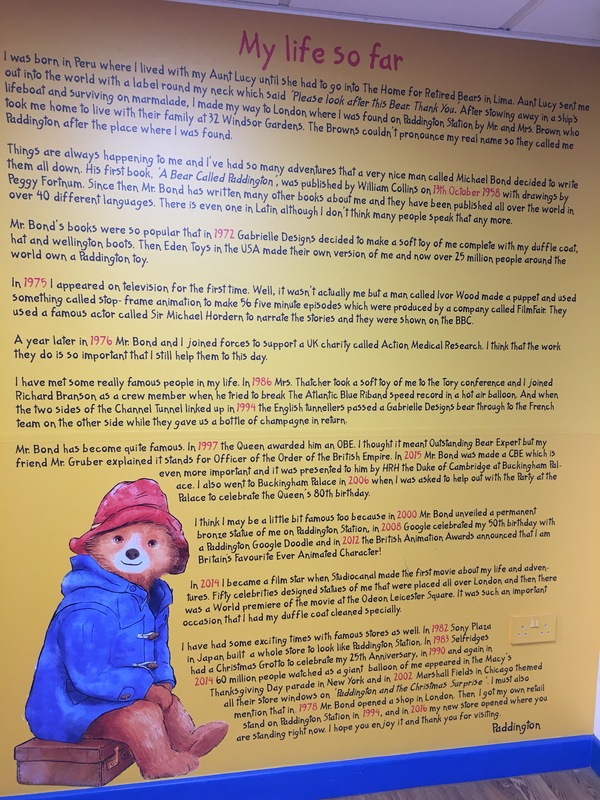 I wonder if Michael Bond ever realised the bear he created would become just as famous as he has.? What a legacy he has left with new stories being created in the films alongside new fans in youngsters just like my nieces.